Positioned right at the top of a recently refurbished attractive building just a few yards from the harbour with fantastic sea views, Pennant really is the perfect location for a holiday all year round. The owners have refurbished, equipped and decorated the apartment to the very highest of standards and the whole feel is luxurious, welcoming, comfortable and sophisticated. All of the attractions of this beautiful old fishing village are within easy walking distance and we cannot recommend Pennant too highly. Third Floor Only: Large, comfortable lounge / kitchen / dining room with sea views. Master double bedroom with king size bed followed by a twin room with en-suite shower room and WC. Separate family bathroom with over bath shower & WC. Heating is via central heating only. The kitchen has a range of equipment. There is an electric oven and hob, a microwave, toaster, kettle, fridge, freezer, dishwasher and washer / drier. The sitting room area has a flatscreen digital Freeview TV / iPlayer / DVD / Blu-ray / CD / Radio player. There is WiFi available at the property. There is an iron & ironing board. Electricity, heating, bed linen & towels are all included but you will need to provide your own beach towels. Regrettably no smoking or dogs are allowed. Parking is available close by, either on the quay or in the main car park where you can purchase tickets from the pay and display machines. There is a pullout clothes line in the bathroom. There is a cot & high chair available. St Mawes has so much to offer the visitor. St Mawes Castle was built by Henry VIII and is a splendid place to take in the views of the Carrick Roads. There are miles of coastal and countryside walks to take in and some idyllic beaches on which to relax and watch the world go by. The little Place Ferry takes visitors to explore St Anthony's Head or there are regular ferries to Falmouth. Being situated on the seafront, the village is also known for the restaurants and pubs that serve superb fish and shellfish dishes all year round. Within walking distance of the cottage, there are a number of pubs, cafes and hotels with fine dining restaurants, including the famous Hotel Tresanton. St Mawes has a good Co-op supermarket, Post Office, chemist, butcher and fresh fish is available for a kiosk on the quay. Guest from Worksop stayed for 7 nights. Lovely holiday in a Superb flat. Second time in Pennant and once again it didn't disappoint. Beautiful clean comfortable flat in a superb location with stunning views. Excellent whether you want to just sit with the doors open listening to the sounds of St Mawes or use it as a base to explore more of West Cornwall. This is a very well equipped apartment, with stunning views, in a very convenient position in St. Mawes. The local supermarket had most things one would need, the places to eat are many, and the butcher was excellent, as was the little seafood stall on the harbour. Parking in the village carpark was £30 for the week. We are experienced self caterers at home and abroad, hoping and expecting high standards and this apartment filled that expectation. We would love to return, having enjoyed our week immensely. In response to this review, I wish to clarify that tea, coffee, sugar, milk and biscuits are left for every guest on arrival. Dishwasher and washing machine tablets, loo rolls, washing up liquid etc are also provided as well as all condiments and cooking oil. There is a Co-op 2 minutes walk away, which stocks almost everything one requires. 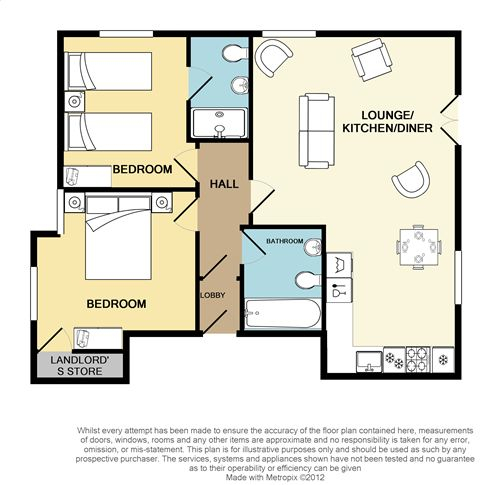 Regarding TVs in bedrooms, the description of the apartment on the website does not state that there are TVs in either bedroom. The Owner does agree that at present everywhere is very hot due to a mini heat wave across the country. However, the housekeepers would have gladly provided a fan if the guests had contacted them. Guest from Traverse City stayed for 7 nights. We were thoroughly pleased with Pennant cottage. It was spacious, well-appointed, beautifully decorated, and very clean. I can't imagine a more inspiring or beautiful view. With the ferry, shops and restaurants just steps away, it's an ideal location from which to visit the Roseland without a car. Guest from Kingsbridge stayed for 4 nights. We loved St Mawes and were very pleased we had chosen to stay at Pennant . We thoroughly enjoyed our short stay in St Mawes and Pennant was the ideal choice for us . We loved the modern bright decor of the apartment and in particular the light and airy feel , along with the fabulous views over the estuary . The kitchen area was well equipped and we found everything we needed. We hope to return one day soon. Pennant is home from home....warm, cosy, clean, very comfortable, (most comfortable bed weve slept in in a holiday let!) lovely to open the double balcony doors in the morning and take in the beautiful view over St Mawes. Cant fault pennant. We had such a relaxing time. Thank you, well definitely return! Guest from Mansfield stayed for 14 nights. Always enjoy our stay here. You don't need to leave St. Mawes . Local resources available to suit most tastes and pockets. Pennant has a fantastic view over St Mawes and has a "tucked away" feel even though it's very very close to the sea front and is on the top floor of the building. The flat was perfect for us with two bedrooms, two bathrooms and a large open plan living area / kitchen. The decor is understated and calm and the quality of the fixtures and fittings is very high. Guest from Wigston Parva stayed for 7 nights. Comfortable attractive appartment with great view. Two issues. The windows rattle noisily in the wind. The noisy people who sit outside the Victory pub well after closing time. The home owners around the pub should get together and put a stop to it. Overall though it was a very nice place. Thank you for taking the time to comment on Pennant. We note your remarks. We are aware that with sash windows they sometimes rattle a little when very windy, that is why we have left wedges on all of the windowsills, for just such an occasion. Re noise from local pub: We are so lucky to have a lovely village-type pub fairly close by, serving great food and occasional take-aways. As you would expect, on a lovely summer evening sometimes people sit outside having their drinks and we have joined them on many occasions. We all feel very lucky in St Mawes to have great pubs and restaurants which add to the fun holiday feel of the area and support them as much as possible and hope that our visitors do the same. Pennant is very conveniently situated for the shops, beach, ferries, pubs and restaurants. We are so pleased that you enjoyed the flat. Thank you for taking the time to leave your review. First time staying in Pennant but not the last. Well located, very comfortable and clean apartment with everything you need for a relaxing stay. We had a wonderful stay at Pennant. The apartment had everything we needed and more, and was a real "home from home". The beds were extremely comfortable and the apartment was accessible for my 86 year old mum who particularly enjoyed staying in the twin bedroom with en suite level access shower. The location being only a stone's throw from the harbour front and shops was ideal. We had no problem parking in the main car park, just up the road. The view from the apartment was absolutely stunning, particularly as we were blessed with fabulous weather. For your information, the shower screen over the bath, does not stay in place and therefore it is easy to spill water onto the floor whilst showering. Some attention is needed to this. We hope to return to Pennant soon. Guest from Potters Bar stayed for 7 nights. Guest from Nashville stayed for 4 nights. This was a well-appointed holiday cottage. It was one of the nicest ones we've stayed at. The location was perfect for sightseeing in Cornwall. The bedrooms were a tad bit small for four tall Americans, but the decor more that made up for it. Pennant was a great appartment and this was our 3rd visit there. It is in easy reach of the sea front, just a stone's throw from front door to the quay. Being the top appartment, it overlooks the roof tops to have lovely sea views. All you need in the kitchen to cater for 4 people for the week and the local coop, butcher and bakery are excellent, as well as having a good cafe and newsagent to hand. The appartment is comfortable and well equipped. If being fussy the wifi is slow (probably St Mawes rather than just the appt) and a couple of areas like behind bathroom door could be a bit cleaner, but we are really fussy and I still rate cleanliness good (but not excellent). Could have a long handled brush to make it easier to keep the kitchen area floor crumb-free more easily. But overall it was great and the views make up for any small niggles. And it is not damp like most of the older cottages in St Mawes! A good base to use to visit the area, get the ferry to Falmouth etc. We parked the car further up the hill (for free) and walked everywhere except a day trip to Truro, it was fab. Highly recommended. Guest from Oxford stayed for 3 nights. St Mawes is lovely and this was the perfect place for us to stay for the weekend. The views are wonderful and the flat very well equipped and comfortable. Would highly recommend. Guest from Conisbrough stayed for 7 nights. In desperate need of a hit of St Mawes this year but with rather full diaries we booked Halloween in Pennant. The location was fantastic, close to the centre and spitting distance to the quayside but on a quiet, rarely used road (we still don't know how the bin lorry managed it!). The views from the flat were amazing, always lots to look at. The flat itself was immaculate, beautifully presented. Comfortable beds and chairs, well equipped kitchen and two great bathrooms. One even had a shower my 6'5" husband could comfortably use. There was plenty of wardrobe and drawer space, 2 hairdryers (!) and the bedding was lovely. The flat is in the 3rd floor but there is a good sized lift so getting luggage up there was fine. There are steps up to the front door so probably not ideal if you have problems with steps although not too many. No parking but not a problem in November although dropping off was a bit difficult as it can cause a mini traffic jam. The only comment I would make on improvements would be the lack of soap in the bathrooms and general cleaning solutions in the kitchen. Take your own dishwasher tablets. There was no welcome pack as such but you are only yards from the local Co-op and St Mawes bakery is superb. We love Pennant because of the view, the decor & the lift which, although slow, does help those of us with poor knees ! It is in the centre of town and is well equipped. Our second visit to the Pennant and we will return. Relaxation , watching all the boats, ferries and yachts, swim, walk, eat and drink. We rarely leave St. Mawes in our stays and that says it all. Fantastic. We stayed in Pennant for a week in August and were really happy we chose to book here, the central location was perfect and the views from the living room were superb. It was well equipped, tastefully decorated and extremely light and bright which is something you don't tend to get with the period cottages in the area. We had a couple of problems with things that needed fixing but they were sorted out within hours which we were really impressed with. The only slight negatives were the bathrooms are starting to get a little tired and the carpet was quite marked but then I guess it was towards the end of the season. We visit St Mawes most years and would definitely book Pennant again, in fact we we would be disappointed if we couldn't stay there next time. Guest from Bradford-on-avon stayed for 14 nights. Pennant is a wonderful apartment with the most beautiful view. We never tired of standing at the window and looking out at the sea, boats and St Anthony's Lighthouse. The apartment was clean, crisp and stylish throughout. We had a fantastic fortnight and can't wait to return. Guest from Old Coulsdon stayed for 14 nights. A very comfortable flat. It would be useful to have a fan available as the main bedroom does get very hot in hot weather. Also there is a fire escape ladder provided in a box which is a good idea. However it doesn't appear to be useable from any of the windows as they all have safety bars across them which means looks as if it can't be mounted on the window ledges and even if it could it would then not be possible to climb through onto the ladder. Suggest the owners give some thought to this and set out specific instructions for its use at Pennant. Guest from Watford stayed for 7 nights. The apartment is clean, well situated in St Mawes and has wonderful sea views from the sitting room and breakfast table. It was only two of us but it would be very comfortable for four. The kitchen is well equipped and there is a nearby co-op (small) co-op. It rained for most of our stay but the highlights were visiting Eden, Heligan gardens - which we highly reccomend (go for the combined ticket), Minack theatre and Godrevy coast for seal watching. Guest from Glossop stayed for 7 nights. We absolutely loved our trip to Pennant! We were a party of 4, myself and my husband, my Mum (I know, bless the husband taking his Mother in Law away) and our 10 year old son. From the moment we walked through the door we were all wandering around saying wow! Having recently house hunting we were rather worried that the pictures online would be like estate agents photos & rather flattering. We needn't have worried! It was perfect and more than big enough for the 4 of us (including 10 year old strops / space for naps) and I can confirm it is every bit as big in real life as it looks in the pictures. One evening we had 6 for dinner - the flat was more than big enough, and very comfortable for all. The general decor of the whole place was lovely, quite seaside and beachy. The finish on the flat was fantastic - pretty much everything we needed had been thought of, and all the fittings were of a high standard (even my famously picky mother was endlessly impressed). We have friends who live in St Mawes (part of our reason for visiting) who popped up regularly and each time remarked how lovely it would be to live in Pennant (they live up the large hill behind the flat - christened heart attack hill by us). My absolute favourite thing about the flat was the view - sitting with a morning cup of tea gazing at the comings and goings of the harbour could have become quite a hobby for us - and the binoculars thoughtfully provided with the flat made boat watching even easier. St Mawes it's self was endlessly endearing - from the children jumping off the harbour wall to the delicious fresh croissants from the wee bakery on the harbour the whole place was perfection. We left a few times to go on the tourist trail - but I can't say anywhere was as lovely. Highly recommended. Guest from Cookham stayed for 14 nights. Lovely flat - great views, nicely done up inside, very close to shops / pubs / restaurants but pretty quiet at the same time. Only downside is difficulties unloading / loading given the narrow road and no parking outside - not much that can be done about that though! Guest from Blandford Forum stayed for 7 nights. Pennant is spotless, fantastic views and well stocked with all you might need. We were incredibly impressed with this gem of a flat when we first arrived. We have never stayed at this end of St Mawes before but we son realised the downside - being so close to the pubs and bars. We had three nights of disturbed sleep because of appalling rowdiness outside The Victory pub which went on well after 11pm (including what appeared to be a stag do). The twin room at Pennant (the one children sleep in) sadly gets the worst of this noise. As the weather was hot we had to have windows open. Such a shame and nothing the owners can do about it. However they might be able to do something about the water that poors onto the window sills in the main bedroom when it rains hard. We had a fourth disturbed night from the racket of what we thought was a blocked overflow. It appears there is no guttering above, the flat being set into the roof. The noise was deafening, even with ear plugs. We loved Pennant, and if it were not for the noise we would not hesitate to stay again. Sadly sleep deprivation is the last thing you need when you need a holiday! If you sleep through anything or don't have small children, we would heartily recommend. A View at St. Mawes. Very enjoyable stay. There is a very high probability that we will return to the Pennant. Perfect location for viewing sailing activities and relaxing. My husband and I really enjoyed our stay at Pennant this June. The flat was very clean and comfortable and had everything that we needed. The amenities were very good, great shower and bathroom, comfortable bed, lovely sea views and airy lounge/kitchen. The décor was to a high standard too. Although the flat was in a very central position, it was away from the hustle and bustle and a quiet location. I would stay here again. Guest from Newent stayed for 7 nights. The apartment is very well appointed, very clean and tastefully furnished. Stunning views from the lounge and kitchen. We would highly recommended a stay at Pennant. The accommodation was in excellent condition, the beds were very comfortable and the bathrooms would put many hotels to shame. The kitchen was very well equipped, the only very minor issue we had was the seating in the lounge area was low and could have had a fourth seat. Guest from Castle Cary stayed for 7 nights. We very much enjoyed our second stay at Pennant. The view over the harbour to Place and Carricknath is a tonic. Also being so close to the centre of St Mawes is a bonus. In fact, the only thing wrong is being so close to the temptations of the fudge shop ! Pennant is a well located two bedroom flat in St Mawes in the second "row" behind the harbour. Being the top floor it has great views of 180 degrees of the sea so you feel like you are definitely in Cornwall. Advantages- very comfortable beds with nice linens. Good decor palette in the bedrooms and living rooms/ kitchen. A lift which is great when you are carrying bags and shopping. Location which is walking distance from Hotel Tresanton, idle rocks and many other restaurants and pubs. Lots of hot water. Wifi (Ok). Small DVD collection for wet days. Disadvantage- not being able to park near the house and having to pay and display each time we came back was a bit of a palaver but this is the price you pay for being in a beautiful fishing village with narrow street. Master bedroom does not have en suite and bathroom was slightly uninviting. Not sure if this was decor, lighting or just that it was cold as towel rail hadn't been fixed and that was only source of heating and weather was unseasonably chilly (May BH). No way to make decent coffee (no machine, cafetière, percolator, filter cup) ..if I'd have known I'd have brought my own and I missed it! No Hoover to clean up crumbs. Window frames inside house need redecorating. Booking company helpful. Owner helpful but property management company rather surly (we hadn't been given towels for three people and I'd asked for that to be rectified. The lady was rather aggressive and defensive saying she had only been told two people etc. That was not my problem as we had it confirmed as three people but she made heavy weather of it to the extent that I wished we hadn't asked). I'd recommend the flat especially out of summer months as heating works well when you have switched it on and it has taken time to warm up. There is no outside space which might be an issue for some in better weather. We liked the location and views and slept very well. I'd also recommend the letting agents. I note all Mrs Bright's comments and constructive criticism is always useful. A cafetiere has been bought. The twin bedded room has an en-suite, the attractive bathroom is 2 steps from bedroom. A new element has been fitted to the towel rail (things break in any home and have to be repaired). There is a dustpan and brush for sweeping up crumbs, we do not expect our guests to hoover, we employ cleaners to carry out this job each week. Outside space - none is advertised. Mrs Bright went on to say in the Visitors book "thank you for creating such a comfortable flat to use as a base. The beds are excellent. Good food on doorstep." Since Mrs Bright's visit we have had 2 further entries in the visitor's book praising the flat and hoping to return. Guest from Padstow stayed for 3 nights. Pennant is fantastic, clean, comfortable and well equipped with everything you need. Great location, close to shops pubs and harbour. Stunning views. Guest from Mortlake stayed for 7 nights. Stayed in Oct 2014, apartment great, really warm and fantastic views. Location couldn't be better. Perfect for walks/swimming/getting ferry. Local shops & restaurants recommended. Guest from Emsworth stayed for 7 nights. Pennant was an absolute pleasure to stay in. The décor is well chosen, the fixtures & fittings are good quality & the view is a real treat. Loading & off loading the car is a bit awkward, the stairs are numerous & the lift is slow, but the flat is sited in almost the centre of the town. There were one or two small faults, but we will certainly be back to enjoy the views & the ambiance of Pennant again. My 4th week this year, fantastic apartment with great views.... The location is central in St Mawes and the apartment is very clean and has all 'mod-cons', I have another week booked in October. Guest from Dronfield stayed for 7 nights. We had a wonderful week at St Mawes, south of Truro on The Roseland in the gorgeous two bedroom top floor apartment 'Pennant', which overlooks the Fal estuary. The apartment is very well appointed and it was a delight to be able to sit gazing at the beautiful views of St Mawes and the estuary. Time was spent taking in a few local walks and beaches and our favourite other place is Portscatho, which together withd the Porthcurno beach, home to the famous 'Hidden Hut' for refreshments, snacks or food. The ferry to Falmouth was enjoyed by all four of us and our six year old Fliss is now well established at crabbing, having spent much time on the pier in St Mawes catching and then racing them down the jetty. We fell in love with St Mawes after our first visit last year and the position of the apartment was absolutely ideal. We will definitely be intending to return, maybe for two weeks next time?? Guest from A.thalang stayed for 7 nights. Modern, light and bright appartment with a seaside feel. I had to unpack before I could wash my hands! A piece of guest soap would have been appreciated. A larger bath towel would be good, too. Otherwise we found it a very pleasant place to be. Loved the view and St Mawes. Thank you for an enjoyable break in spite of the fog!! Many thanks for taking the time to review your stay. We welcome your comments regarding hand soap and have instructed our housekeeper to provide from now on. So sorry we hadn't thought of this before. We note your comments on the bath towels and will consider for the future, it is the first time this has been mentioned. We hope to welcome you back soon. Absolutely brilliant! The apartment was beautifully furnished and a joy to stay in. The only thing missing was a tea cosy! Would love to go back and would recommend it to anybody. Have had to complete 'service and staff' but there was neither as we were self catering. If it was for the booking service this was easy to do. Thank you. Thank you for taking the time to write a review. We do hope to welcome you back soon. We're glad to hear you enjoyed your stay at Pennant. Many thanks for taking the time to review, we hope to welcome you back soon.